2004 – 2005 Institutional Economist, on Institutional Studies on Reward Mechanisms for Environmental Service Markets, World Agroforestry Centre (ICRAF), Southeast Asia. 2002 – 2003 Visiting Professor (Fulbright Fellow), Department of Agricultural and Applied Economics, University of Wisconsin-Madison, USA. 1997 – 1999 Economic Adviser, the House of Representative (DPR-RI), Jakarta for the Commissions on Food and Agriculture, Industry and Trade; Economics, Finance, and Development Planning. 1996 – 1997 Economist, Mission on Economic Promotion of the Small and Medium-Scale Enterprises, German Technical Cooperation (GTZ). (1) Arifin, Bustanul. 2013. Ekonomi Pembangunan Pertanian (The Economics of Agricultural Development). Bogor: IPB Press. 301 pages. ISBN 978-979-493-435-7. (3) Arifin, Bustanul (co-editor with Ninasapti Triaswati dan Arianto Patunru). 2008. Kebangkitan Ekonomi Indonesia: 10 Tahun Pasca Krisis (Awakening of the Indonesian Economy: 10 Years after the Crisis). Jakarta: Ikatan Sarjana Ekonomi Indonesia (ISEI). 245 pages. ISBN 978-979-8481-02-4. (4) Arifin, Bustanul. 2007. Diagnosis Ekonomi Politik Pangan dan Pertanian. (The Political Economy of Food and Agriculture). Jakarta: Raja Grafindo Persada. 290 pages. ISBN 978-979-769-145-5. (5) Arifin, Bustanul. 2005. Ekonomi Kelembagaan Pangan (Food Institutional Economics). Jakarta: LP3ES. (7) Arifin, Bustanul. 2004. Analisis Ekonomi Pertanian Indonesia (An Analysis on Indonesian Agricultural Economics). Jakarta: Penerbit Buku KOMPAS. 304 pages. ISBN 979-709-134-1. (8) Arifin, Bustanul. 2004. Formasi Strategi Makro-Mikro Ekonomi Indonesia (A Macro-Micro Formation Stratregy of the Indonesian Economy). Jakarta. Ghalia Indonesia. 192 pages. ISBN 979-450-439-4. (9) Arifin, Bustanul (co-author with Didik J. Rachbini). 2001. Ekonomi Politik dan Kebijakan Publik (Political Economy and Public Policy). Jakarta: Grasindo. 294 pages. ISBN 979-695-528-8. (10) Arifin, Bustanul. 2001. Spektrum Kebijakan Pertanian Indonesia: Telaah Struktur, Kasus dan Alternatif Strategi (Policy Spectrum of Indonesian Agriculture: Studies on Structure, Cases and Alternative Strategy). Jakarta: Erlangga. 188 pages. ISBN 979-688-192-6. (11) Arifin, Bustanul. 2001. Pengelolaan Sumberdaya Alam Indonesia: Pendekatan Ekonomi, Etika, dan Praksis Kebijakan. (Natural Resources Management in Indonesia: Approach on Economics, Ethics and Policy Praxis). Jakarta: Erlangga. 164 pages. ISBN 979-688-191-8. (12) Arifin, Bustanul (co-editor with H.S. Dillon). 2000. Asian Agriculture Facing the 21st Century. Jakarta: Asian Society for Agricultural Economists. 655 pages. ISBN 979-96301-0-X. (in English). (10) Arifin, Bustanul. 2006. “Transaction Cost Analysis of Lowland-Upland Relations in Watershed Services: Lessons from Community-Based Forestry Management in Sumatra, Indonesia. Quarterly Journal of International Agriculture, Vol. 45 (4): pp. 361-375. (in English). (1) Over 100 titles of research papers presented at international conferences and seminars. (2) Over 500 research papers presented at national seminars, conferences and public discussions. (3) Over 600 popular articles published in national magazines and newspapers. (4) Indonesian Economists Association (ISEI=Ikatan Sarjana Ekonomi Indonesia), etc. 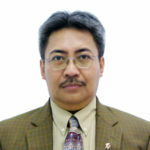 Bustanul Arifin is Professor of Agricultural Economics in the University of Lampung (UNILA) and Professorial Fellow at the International Center for Applied Finance and Economics of Bogor Agricultural University (InterCAFE-IPB). Dr Arifin is also Board of Founder/Senior Economist at the Institute for Development of Economics and Finance (INDEF), an independent research institution aimed at providing assessments on a wide-range of public policy issues related to economics and finance, based in Jakarta-Indonesia. 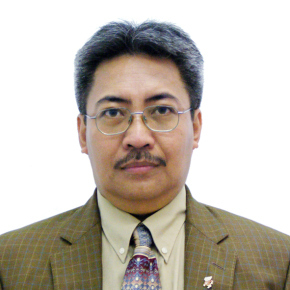 Dr. Arifin has over 25 years experience on comprehensive range of research in agricultural and resource economics, food security, political economy and development strategies. He has a wide range of consultancy experience in the fields of economics and development issues for international agencies such as: World Bank, USAID, JBIC, UNDP, ILO, GTZ, ICRAF, WWF, Danida, RECOFTC, etc. Dr. Arifin holds a Ph.D. in resource economics from the University of Wisconsin-Madison (USA) and Sarjana (Bachelor) degree in agricultural economics from Bogor Agricultural University (IPB) in Indonesia. He has served as Director of INDEF and Adviser to the House of Representative (DPR-RI) for the commissions of agriculture, industry, and trade. Dr. Arifin has published 39 titles of books in economics and development issues, including a sole author of 14 books. He has also authored over 80 articles in scientific journals, written and presented over 100 research papers in international conferences. He has been a public speaker on agricultural economics and development-related issues, presenting more than 500 research papers in national seminars, workshops and conferences in Indonesia. Dr. Arifin is now serving as Executive Council of the Asian Society of Agricultural Economists (ASAE), Indonesian Society of Agricultural Economics (PERHEPI) and Indonesian Economist Association (ISEI). He currently contributes his expertise in civil and community services, such as: Chairman of Expert Group at Food Security Council National Innovation Council (KIN) in the Office of the President, etc. He is also a well-known analyst on economic and development issues for national television and radio stations, and has written over 600 articles and columns in magazines and newspapers.